I was looking to replace a similar set of glasses I purchased in Tlaquepaque, MX several years ago. These glasses are every bit of the same quality and workmanship. Very pleased with my purchase. 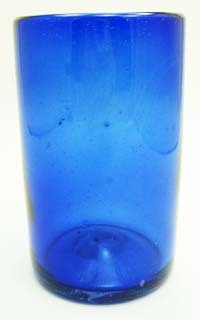 These glasses are a wonderful deep cobalt blue color...We love the richness they add to our household.